Muses were consider from the mythology with a divine lineage and represented different virtues of divine origin. 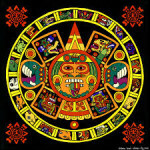 Thus are recognized as divine souls where artists and designers found inspiration. Today the muses are not of a divine lineage but they can represent an angel of glamorous values for the artist or the designer. Represents also the soul of a collection. Also muses had since today a very next relationship of friendly with the designer, who is inspired on her throw a season o inclusive for decades. Those muses can also define an époque represented as icons with exceptional style and glamour. Define an era of fashion and also a pop culture. Muses embody the ideal woman or ideal customer. 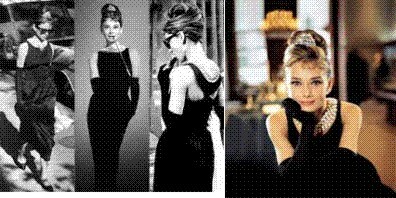 ICONS of fashion were Audrey Hepburn, Jacqueline Kennedy, Claudia Schiffer, etc. Audrey Hepburn was for four decades the muse of Givenchy, also launching a new perfume with the spirit and glamour of Audrey Hepburn in Givenchy L’ Interdit perfume. The link with the muses generated with the designer where the muse represents the style and glamour of the designer brand coming to weave friendships for a lifetime. Jacqueline Kennedy was the muse of Oleg Cassini. This designer creates more than 300 dresses for the First Lady of the United States. He designs the “Jackie style” as we know till today. This style was represented on simple cut dress, big bottoms, tailor suits very well cut, and funny little hats. Those garments apparel create a new icon époque where Jackie has being till today recognized elegance also represent a new style of the 60’s. Christian Dior muse was Mitza Bricard one of the most elegant women of Paris. Turning into the muse the soul of the House of Dior. Dior fell in love with the animal leopard print scarf she uses on her wrist. Dior incorporated the leopard as a fetish to the present. Yves Saint Laurent has two muses Betty Catroux y Loulou de la Falaise. Both are from the high class of Paris, and being next collaborators for 30 years. This young designer inspired on both of them creates the female smocking and blouses. Karl Lagerfeld has the icon with the supermodel era Claudia Schiffer where he was at the Channel emporium. The era of the supermodel began in the 90’s. Marc Jacobs has her own icon with Sofía Coppola daughter of Francis Ford Coppola. And Tom Ford with Carine Roitfeld icon of the 90’s when he was a creative director of Gucci e Yves Saint Laurent. Those top models icons of the 90’s have finished. The top models were an unique phenomenon of beauty in which Linda Evangelista, Naomi Campbell, Eva Herzigova o Cindy Crawford transcended the runway becoming stars of show, starring in movies, videos music, etc. It is a glamour époque. Every top model represents different virtues. Naomi represents strength, Christy Turlington elegance, and so on. Only in the case of Gisele Bundchen you can use the term supermodel. Today the models have other style as Kate Moss, with her androgenic style. Perhaps what the shows wanted are simple and real women with realistic bodies, no so lush.